Constipation is one of the more common side effects encountered by people on keto and low-carb diets. Although it&apos;s often a temporary issue, it may also become chronic. Read on to learn more about constipation, why it&apos;s so common on carb-restricted diets, and how to resolve it while remaining low carb. Constipation is defined as having hard, dry stools that are difficult to pass. Additionally, bowel movements may be less frequent than usual. However, what is “normal” for one person may be very different for another. A 2010 study found that adults average anywhere from 3 BMs per day to 3 per week – an extremely large range (1). In a recent 2018 review, researchers acknowledged that because there isn&apos;t an ideal definition for constipation, is difficult to say how many people are affected. However, it&apos;s estimated that chronic constipation affects an average of 16% of adults overall and 33.5% of those older than 60 years of age worldwide (2). Despite individual differences in bowel frequency, most of the time, it&apos;s easy for people to identify when their BMs are hard and require straining to pass. Common causes of constipation include hypothyroidism, stress, inactivity, narcotic pain medication use, inadequate fluid intake, and food intolerances. How Common is Constipation on Keto and Low-Carb Diets? 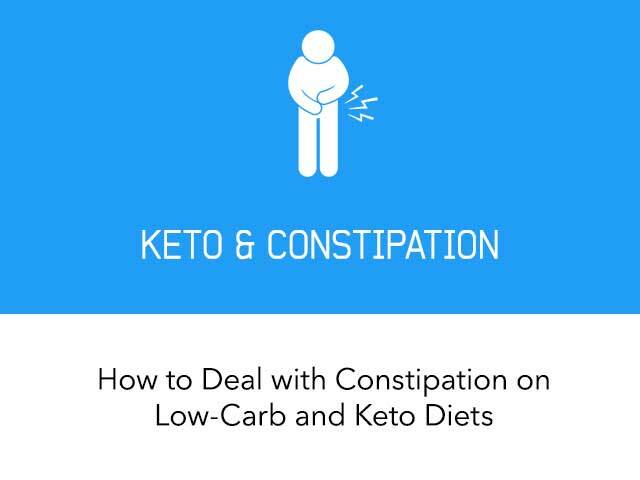 Constipation is fairly common on keto and low-carb diets, especially in the beginning, when the body is adapting to using fat rather than glucose as its primary fuel source. However, it&apos;s very individual and constipation doesn&apos;t always occur, even when carb intake is extremely low. 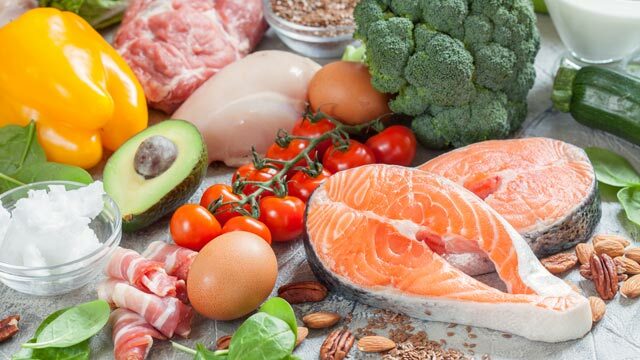 One epilepsy center that conducted a retrospective study of 48 children following strict ketogenic diets long term for seizure control reported that 32 of the patients (65%) developed constipation while on the diet (3). Another center that conducted a similar study found that only 2 of 26 (8%) children following the modified Atkins diet (MAD) experienced constipation (4). The ketogenic diet used in children with epilepsy typically has a very high fat intake; at a 3:1 or 4:1 ratio, the amount of fat is three to four times as much as the protein and carbs combined. The MAD is still high in fat and very low in carbs, yet allows for more protein, resulting in a ratio between 1:1 and 2:1. However, even people on less stringent low-carb diets may experience constipation. For example, in a 2002 study, 41 adults with type 2 diabetes were instructed to limit carb intake to 25 grams of carbs per day without any restriction on protein, fat, and calories. By the end of the study, 28 (68%) of the participants reported having constipation at some point during the 24-week period (5). Why Does Constipation Often Occur with Carb Restriction? Keto and very-low-carb diets typically lead to increased urination, especially when first starting the diet. Dehydration can result in constipation if water intake isn&apos;t increased to replace urinary losses, as has been seen in children following ketogenic diets for epilepsy (6). Your body needs to maintain a certain level of electrolytes for optimal GI function. When carb intake is very low, insulin levels drop and urinary sodium output decreases, leading to potassium shifts within the body&apos;s cells in order to maintain mineral balance (7). Depending on the person, a decrease in fiber – which often accompanies carb restriction – may sometimes contribute to constipation (8). Importantly, simply having fewer bowel movements doesn&apos;t necessarily mean you&apos;re constipated. People often notice that they need to defecate less frequently with ketogenic eating, especially if their previous diet was high in bran cereal, beans, and other high-fiber foods that promote bulky stools. Therefore, if your bowel movements are smaller but are easy to pass and aren&apos;t accompanied by pain, bloating, or straining on the toilet, you probably aren&apos;t constipated. This may simply be your “new normal,” as long as you&apos;re having a BM at least three times a week. If you do have constipation or are interested in taking steps to prevent it, here are several strategies to implement. Insufficient electrolyte levels are well known for causing the most common symptoms of keto flu: fatigue, weakness, headache, and irritability. However, they&apos;re also important for keeping your digestive tract functioning as it should, particularly sodium and magnesium. In a controlled study of 244 women with constipation, those in the group who drank magnesium-fortified water had significant improvement in their symptoms compared to women in the low-mineral water group (9). Most people need at least 3-5 grams of sodium per day on a very-low-carb diet. Easy ways to increase your sodium intake include salting your food during cooking or at the table, drinking a cup of salted broth, and including olives, cheese, and sauerkraut in your diet. Potassium-rich keto foods and magnesium-rich keto foods include avocado, nuts, meat, fish, greens, and Greek yogurt. Supplementing with 200-400 mg of magnesium per day may also help. Magnesium oxide and magnesium citrate provide a laxative effect, but make sure to start with no more than 200 mg daily in order to prevent loose stools or diarrhea. Note: Speak with your doctor before supplementing your diet with electrolytes if you have congestive heart failure, kidney disease, or take medication for any health condition. As mentioned earlier, being in ketosis increases urination, which may lead to dehydration and potentially constipation. Indeed, even mild dehydration has been linked to constipation in susceptible people (10). Make a point of drinking enough fluid every day. On a keto diet, most people need a minimum of 2.5 liters of water per day, and taller, heavier individuals may require considerably more. However, this is somewhat individual. It&apos;s best to keep water on hand and drink at the first sign of thirst rather than waiting until it&apos;s time for your next meal. Also, check your urine to make sure the color is light yellow rather than dark or bright. Although water is ideal, it isn&apos;t the only beverage that counts as fluid. Coffee, tea, and bone broth can also contribute to your total daily fluid tally. Although in the past drinking caffeinated beverages was thought to increase risk of dehydration, more recent research has shown that this isn&apos;t true at intakes of less than 500 mg of caffeine per day (11). (For reference, an average cup of coffee contains about 100-180 mg of caffeine.) Additionally, coffee promotes regularity, with regular coffee having a significantly greater laxative effect than decaf (12). Inactivity has long been associated with constipation, whereas engaging in regular exercise can help maintain healthy bowel function. One study looking at the impact of physical activity on constipation and other GI disorders found that it was beneficial in virtually all cases, although the optimal type and amount weren&apos;t determined (13). Moving your body on a daily basis is key for conquering constipation. To that end, it&apos;s important to choose an exercise or activity that you enjoy doing and can stick with long term. Many people find that consuming fiber-rich foods on a regular basis helps promote regularity. Several controlled trials in people with constipation have found that the addition of fiber typically improves BM consistency and frequency (14, 15, 16). Soluble fiber has been shown to be particularly helpful for preventing dry, hard stools because of its strong water-holding capacity (15, 17). Rhubarb is a low-carb food that is high in soluble fiber and also contains a compound called sennoside A, which is well known for its laxative effect (18). Consuming adequate fluid becomes even more important when eating high-fiber foods. Increasing your fiber intake without drinking enough water can actually worsen constipation. And although we usually suspect that too little fiber is the reason for constipation, that isn&apos;t always the case. Some individuals actually find that their digestion improves when they eat less rather than more fiber, which has been confirmed in studies (19, 20). In 2012, Chinese researchers found that when constipated people with high fiber intake from food or supplements were placed on a fiber-free diet, they experienced a resolution of symptoms (20). Again, because response appears to be very individual, you&apos;ll need to experiment with fiber intake to find out what works best for you. Because of their rapid digestion and absorption, medium-chain triglycerides (MCTs) may stimulate bowel movements. Although MCT oil has the strongest laxative effect, coconut oil contains some MCTs and can also promote regularity. Aim for 1-2 Tablespoons of coconut oil or MCT oil per day, added to foods or beverages at meals. However, make sure to start out with a small dosage of only 1 teaspoon per day and gradually increase your intake. That way, you&apos;ll be able to avoid possible GI side effects like cramping and diarrhea. Although we tend to think of nuts and seeds as a remedy for constipation due to their high fiber content, these foods may actually be a cause or contributing factor for some people. However, you may be able to reduce this effect by soaking nuts and seeds prior to eating them. Soaking and dehydrating nuts and seeds may also help you better absorb the nutrients they contain by improving their digestibility. Also, make sure you&apos;re not eating too many nuts. About 30-60 grams (1-2 ounces) per day should be well tolerated by people who don&apos;t have nut allergies or sensitivities. Probiotics are beneficial bacteria in foods or supplements that help balance your intestinal flora and improve regularity. 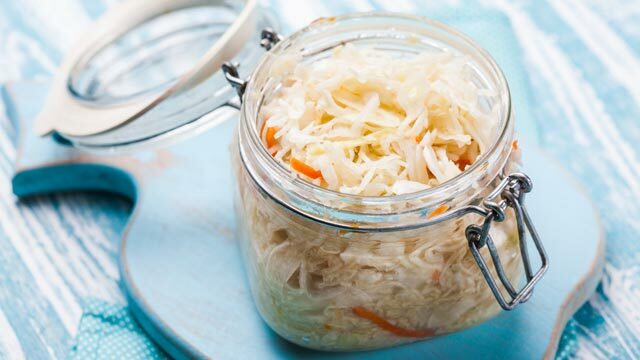 Some of the more popular fermented foods are yogurt, kefir, sauerkraut, and kimchi. In a small study of 20 people with chronic constipation, consuming a kefir beverage every day for 4 weeks led to improved stool frequency and consistency, along with decreased laxative use (21). In addition to food, probiotic supplements can also be beneficial. In a 2016 review of 15 clinical trials, probiotics were shown to decrease intestinal transit time and reduce constipation symptoms. Researchers found that the most beneficial bacterial strain for promoting regularity was Bifidobacterium lactis (22). 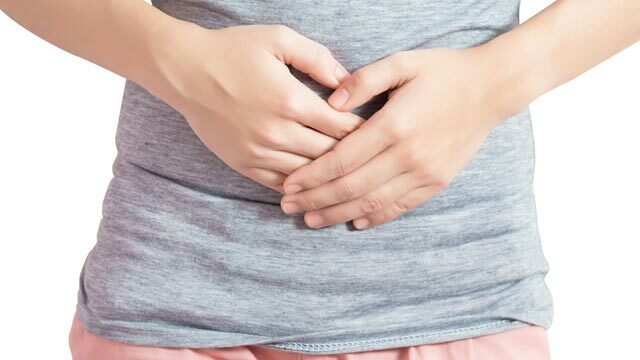 Other probiotics that may help relieve constipation include Lactobacillus acidophilus, Lactobacillus reuteri, Lactobacillus plantarum, Lactobacillus rhamnosus, and Bifidobacterium animalis (23). Although constipation is fairly common in the early stages of carb restriction, it often resolves on its own. However, it isn&apos;t unusual if it persists or develops later. Keep in mind that simply having less frequent or less voluminous stools on a keto diet is normal and doesn&apos;t reflect constipation unless BMs are also hard or difficult to pass. If you are actually constipated, there are several ways to combat it without jeopardizing your keto or low-carb lifestyle. Foremost among these is making sure you&apos;re taking in enough fluid and electrolytes, which can sometimes be overlooked after becoming keto-adapted. Getting regular physical activity is also important. Beyond this, you may need to experiment a bit with types and amounts of different foods to find out what&apos;s optimal for your own unique system. 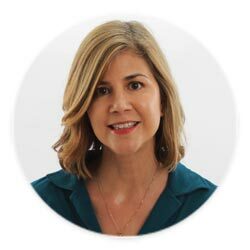 Franziska Spritzler, a registered dietitian and certified diabetes educator, is a strong proponent of carbohydrate restriction for people struggling with diabetes, insulin resistance, obesity, and PCOS. She follows a very-low-carbohydrate, ketogenic diet for blood sugar control and has experienced many improvements in her health as a result of making this change. This article was written by Franziska Spritzler, RD, CDE who is a qualified expert. At KetoDiet we work with a team of health professionals to ensure accurate and up-to-date information. You can find out more on the About us page. Nuts & Seeds on a Ketogenic Diet: Eat or Avoid? Maybe a meal plan specific for high fiber content? I have the exact opposite problem, so bad that I have stopped avoiding carbs until I can get this under control. Frequent watery and very urgent BM is no fun! Prior to starting Keto I was regular as clockwork. Am I the only one?? I now visit a naturopath and hope this will help. Hi Jane, it does seem to be an issue for some people following a keto diet. If you are experiencing loose stools, aim for a fat intake that is no more than 80% of calories from fat, ideally 75%. Also, some foods like MCT oil and coconut oil may make GI distress worse. I hope this helps! 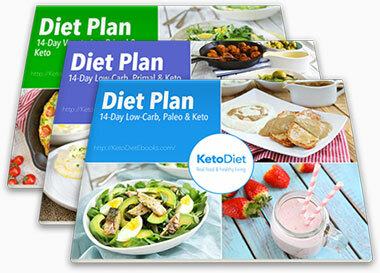 What Are the Health Benefits of Low-Carb and Keto Diets? Could Low-Carb Diets Really Be Killing You?